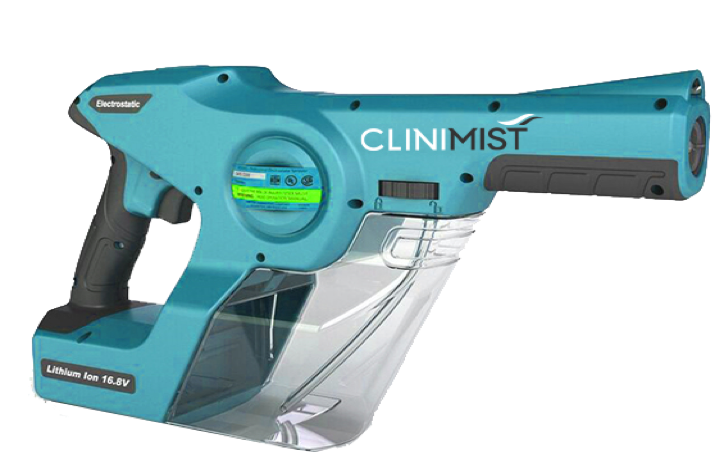 Electrostatic misting device for rapid dispensing of disinfectants. Can disinfect a 5m x 5m room or kitchen area in less than 10 minutes. Very suitable either as an “intervention” technology or can be incorporated into a daily disinfection routine. For example, an entire hotel kitchen area and work surfaces can be disinfected last thing at night.